Bush is actively considering a run for president and has sharply criticized likely Democratic front-runner Hillary Rodham Clinton for her use of a private e-mail account when she served as secretary of state. He called it “baffling” that Clinton didn’t consider the potential security risks of discussing diplomatic and national security issues by using an e-mail account not tied to a government server. The New York Times points out that it took Bush seven years to release he email. I previously pointed out other questions about Bush’s email, along with problems with Scott Walker and email. 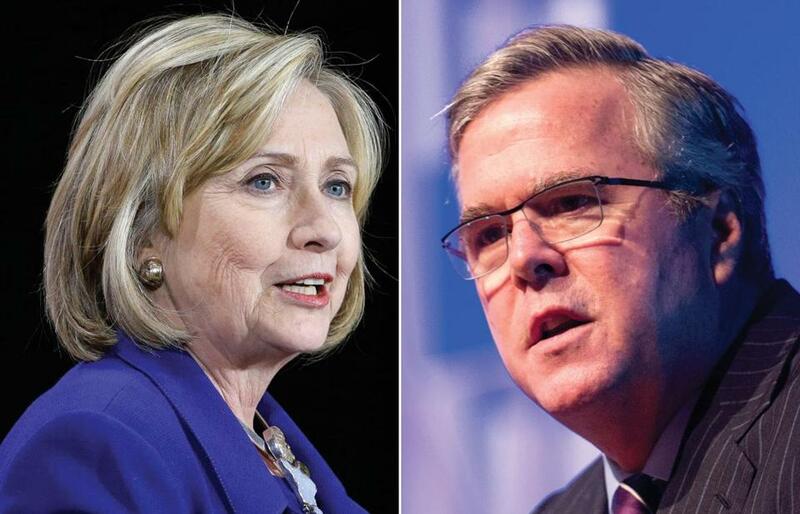 Of course these abuses by Republican candidates do not excuse Hillary Clinton. My concern is the manner in which she acts like a Republican with a long history of opposition to transparency. The Obama White House is also concerned about how this will affect Obama’s legacy. They have been lukewarm in any defense of Clinton after she violated the rules established during the Obama administration to increase transparency following the email scandals of the Bush years. While the source is quite questionable, The New York Post takes this further with an unsubstantiated claim that Valerie Jarrett leaked the information regarding Clinton’s email out of concern that Clinton would undo Obama’s legacy. The article claims that she promised Elizabeth Warren and Martin O’Malley “the full support of the White House if they will challenge Hillary for the presidential nomination.” Interesting theory, but I wonder why Joe Biden was left out of this offer and how you offer full support to two different people. Plus we sure have not seen any signs of the White House backing O’Malley over Clinton so far. The article makes additional claims as to what will occur and we can watch to see how many (or few) come about. Posted in Barack Obama, Elizabeth Warren, George Bush, Hillary Clinton, Jeb Bush, Scandals. Tags: Martin O'Malley, Scott Walker. RSS feed for comments on this post.. TrackBack URL.